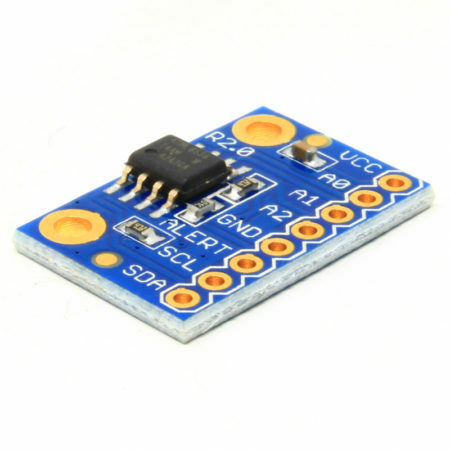 Serial UART to RS485/422 transceiver board with screw terminals. 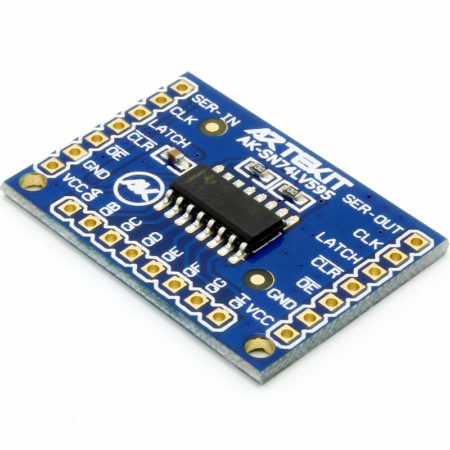 Breakout board for the EXAR XR33038 transceiver IC. 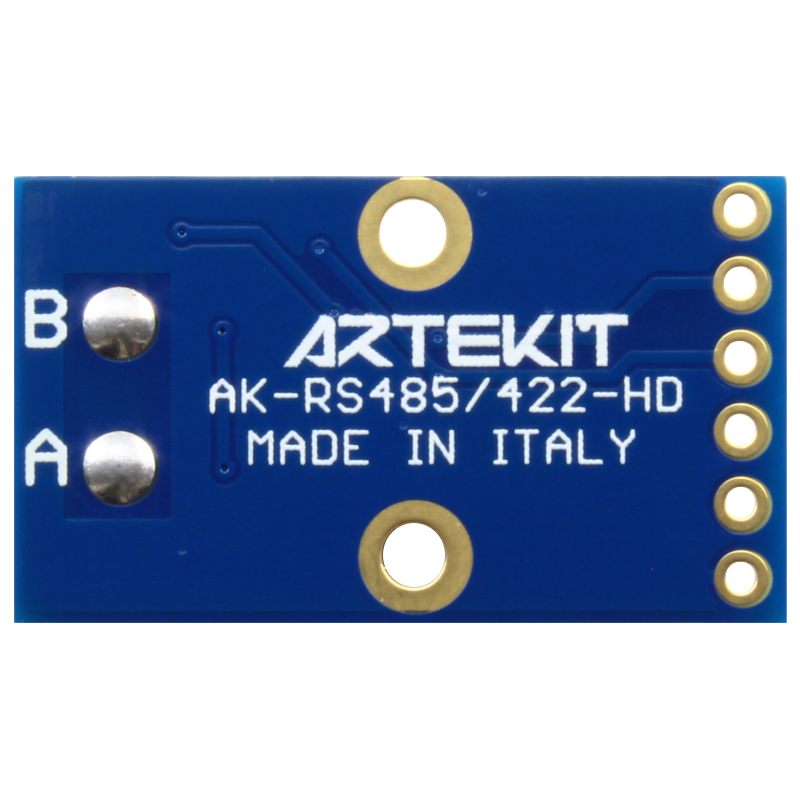 The AK-RS485/422-HD board converts serial UART streams into RS485/422 communication protocol. 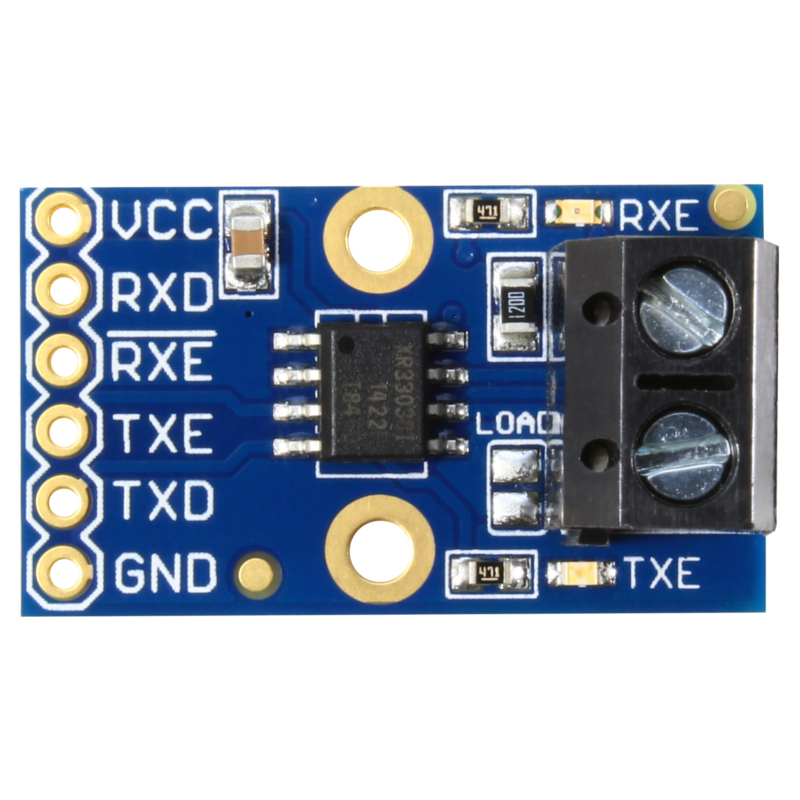 It is a breakout board for the XR33038 RS485/422 transceiver IC from EXAR. 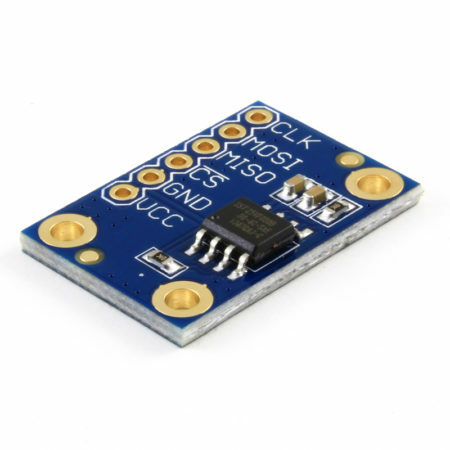 This board provides standard half-duplex RS485/422 conversion with a maximum data rate of 10Mbps. 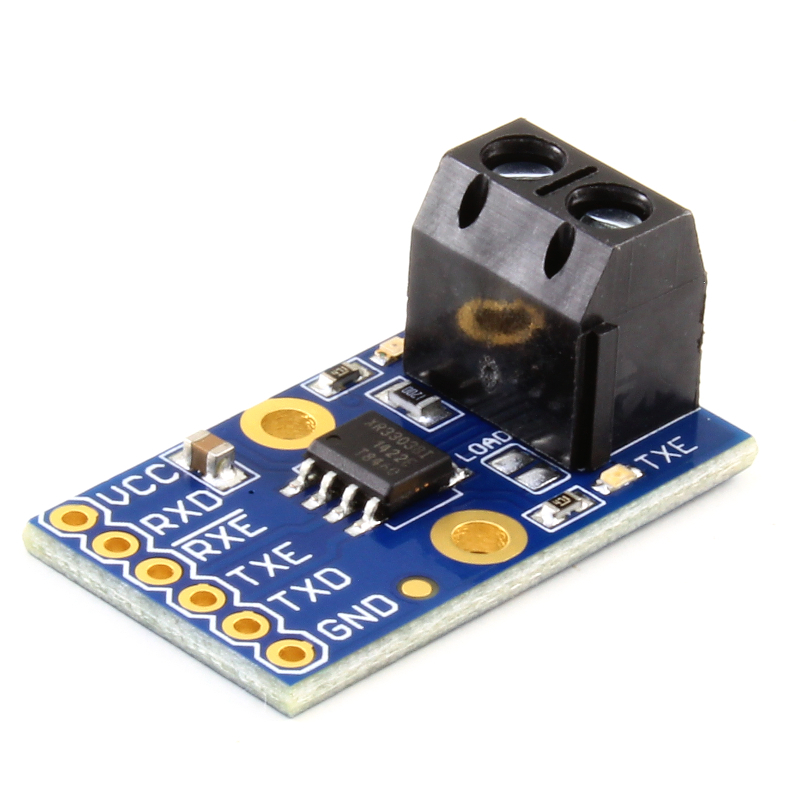 It has a wide power supply range (from 2.8V up to 5.5V) and a 18V tolerance (withstands direct short circuit) on the bus pins. The board has 0.1″ (2.54mm) spaced pins for the UART and power supply, and a screw terminal where you will connect the RS485/422 signals. We also have a version of the same board without the screw terminal. 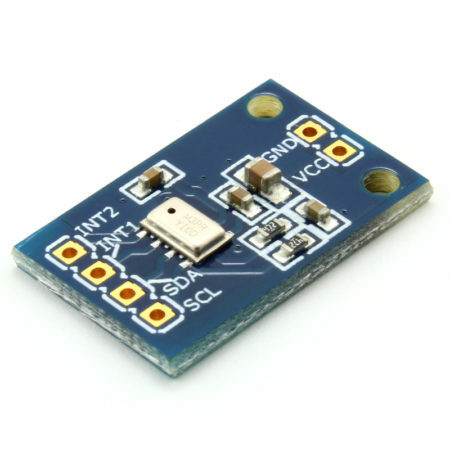 There is an on-board 120 Ohm termination resistor that you can enable by joining a solder jumper and two LEDs that indicate whenever the transmitter and/or receiver are enabled. If you are looking for a Full-Duplex RS485/422 transceiver, we have that too. The board comes fully tested and populated. 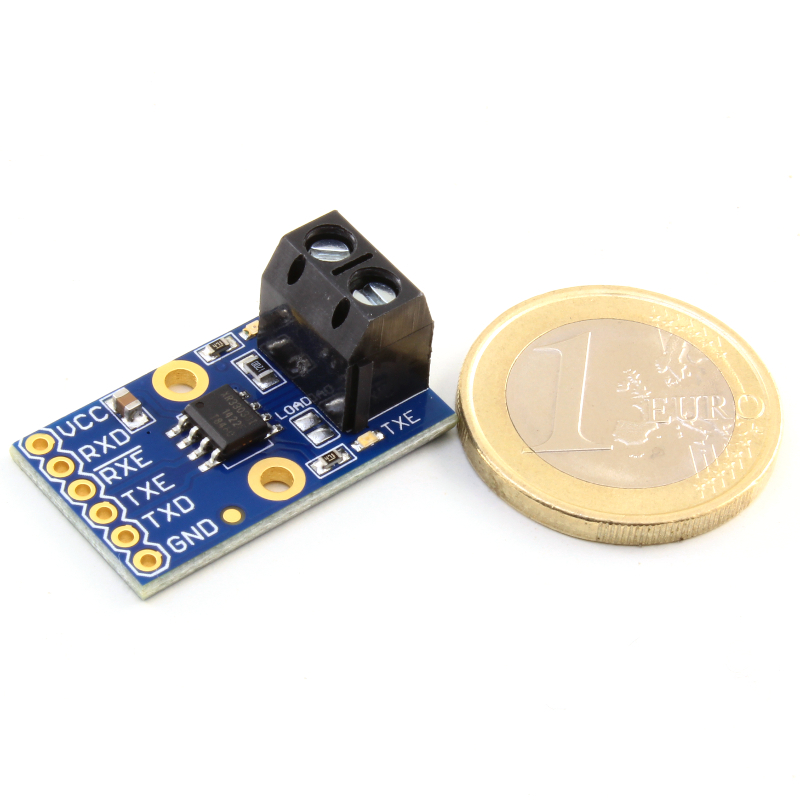 2.8V up to 5.5V power supply. 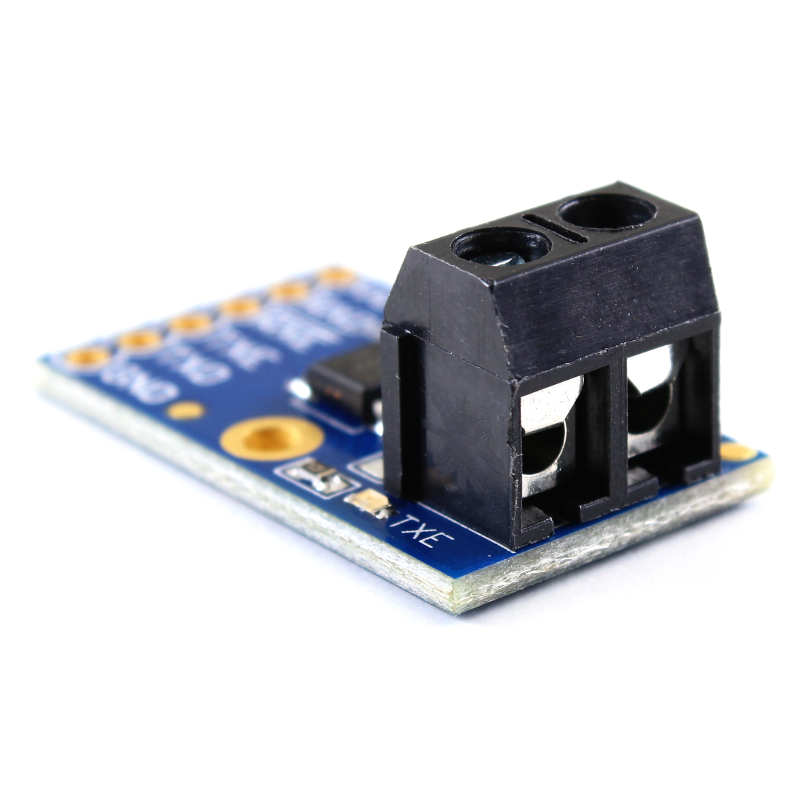 Fault Protected RS485/422 bus pins up to ±18V. 300μA idle current, 40nA shutdown current. On-board 120 Ohm terminator resistor.